For most of us, the 1st of January marks the New Year. But for others, it is Lunar New Year which signifies greater importance. 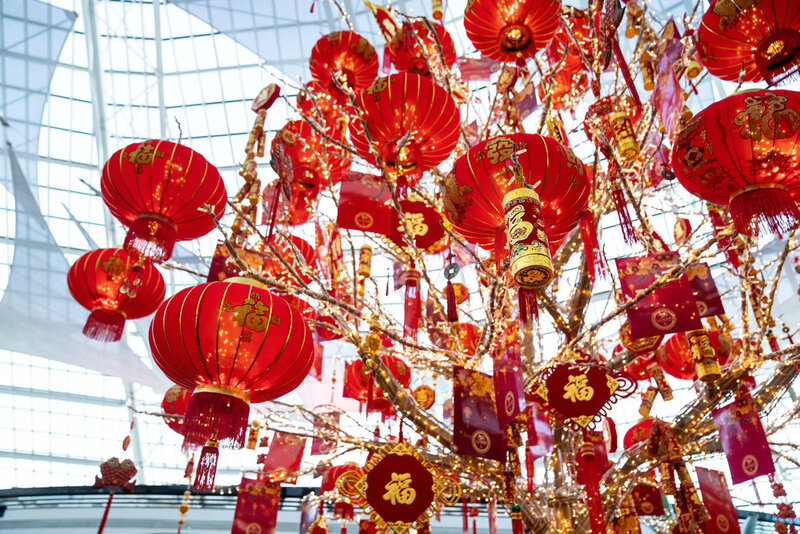 So, why is Chinese New Year celebrated? I never fully understood the legend behind Chinese New Year and the reason it was celebrated. 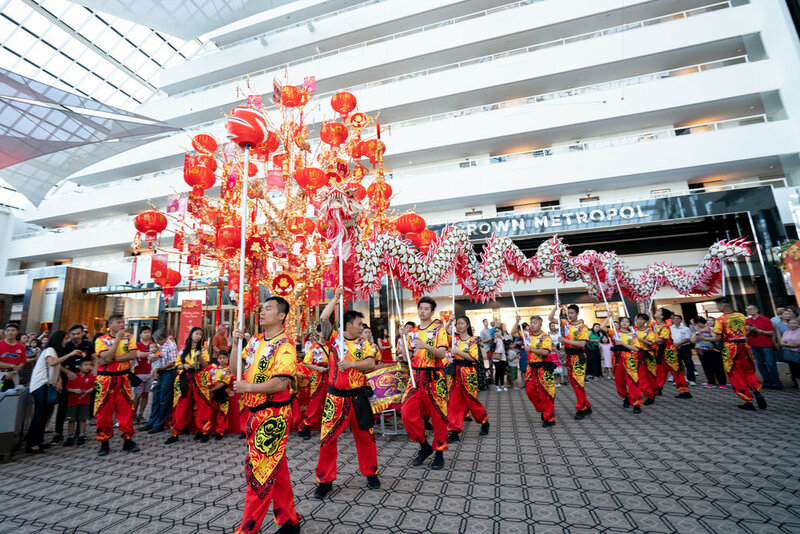 So this year, I decided to go beyond admiring the bright coloured decorations and lion dances to discover the true meaning behind the celebration. Do you know about the story of Nian? Well you are about to find out! In ancient years, every year a monster called Nian would reek havoc on the villages at night. The mythical beast would eat the villages livestock, crops and even people on New Year’s Eve. To protect themselves, the villagers would lock their doors at night and have a feast before their ancestors. One day, a beggar sought shelter in the village. The fearful villagers hurried away to their homes. Only an old woman was willing to take him in and in exchange he promised to scare away the creature. At midnight, the monster returned to the village. The beggar had decorated the house with red paper on the doors and wore red clothing. Using crackling bamboo (later became firecrackers) and loud drumming noises, the monster became fearful and was scared away for good. The next day, the villagers woke to see that their houses and village had not been destroyed. So, every year on New Year’s Eve, the Chinese celebrate this day with bright red decorations, a feast for the family and fireworks at midnight. Are you serving a feast for your family this Chinese New Year? Click here to read all about the traditional Chinese New Year dishes you will want on your dinner table. Dragon dance performance by W.A Chung Wah Lion And Dragon Dance Troupe. Every year celebrates a different Chinese Zodiac animal, which has existed in Chinese culture for over 2,000 years. The zodiacs became integrated into our everyday lives, with each animal assigned different meanings and characteristics. Although some of you might not believe is zodiacs, the Chinese zodiacs are supported by science with astrologists determining the zodiacs personality, compatibility with others and fortune. The zodiac cycle repeats every 12 years and consists of 12 zodiac animals. This year is the year of the Pig. In Chinese culture, pigs are a symbol of wealth. Are you born in the year of the pig? These are the recent years of the Pig: 1935, 1947, 1959, 1971, 1983, 1995, 2007, 2019. You’re probably interested in what kind of personality to expect from someone born in the year of the pig. Generally speaking, Pigs are very realistic thinkers. Whilst others may be all talk and no action, Pigs are the opposite. They enjoy entertainment and can often be materialistic. However, this can motivate them to work hard. The ability to hold solid, tangible goods provides them with a feeling of security. Pigs are energetic and enthusiastic people and seek positions of power and status when given the opportunity. In my opinion, I thought that if it was the year of your zodiac, you were bound to experience fortune, happiness and career success. Wouldn’t that make sense? This isn’t necessarily the case. Here’s a few brief points on what 2019 has in store for the Pigs. Traditionally, this year is the most unlucky year for the Pigs. Pigs may find luck in some areas, whilst others will require hard work to avoid potential issues. You may experience many emotional ups and downs doing 2019, which could make you feel frustrated at times. It may not be a very transitional year for Pigs, but remember to stick it out where you can. Instead, get your good luck from attending happy events including weddings, birthdays or family gatherings. These events are bound to bring you positive energy and luck. For the Pigs, avoid changing jobs or careers this year as this may not create the most desirable outcome. Be aware of conflict and tackle the situation with patience and practicality. It is predicted that this year may not be your year for true romance, but you will have enjoyable moments during this year. On the bright side, you will experience a lack of relationship drama which means you can focus more on developing new connections with friends. Find out more about the year of the Pig here. “Chinese Zodiac.” 2019." Travel Guide China. https://www.travelchinaguide.com/intro/social_customs/zodiac/?fbclid=IwAR3NESxL6x04pw_od3NBUYQHzyLrwPhvzocPAbE5u_77j814ci5eLH1WtXU. Wai Fengshui. 2019. Way Fengshui’s 2019 ProsperGraph. YouTube Video, 4:11. https://www.youtube.com/watch?v=enxA6J1PrHs&t=9s&fbclid=IwAR2bkWW_qslw5vVQD-m9H8-YuXjEW-z9YaenD9VhPruWiZcBoDaWp4bR0dA.